thank you for your teachings and inspiring me to create this meridian Yin Yoga flow. The Lung Meridian Channel is the Yin aspect of the Metal Element. The deeper part of the Lung channel originates in the Zhongjiao or the middle of the abdomen (ref: The Concise Book of Acupoints, John R. Cross). LU1 is in the hollow 1 tsun inferior to the lateral clavicle and ends at LU11 on the radial side of the thumb at the corner of the nail. 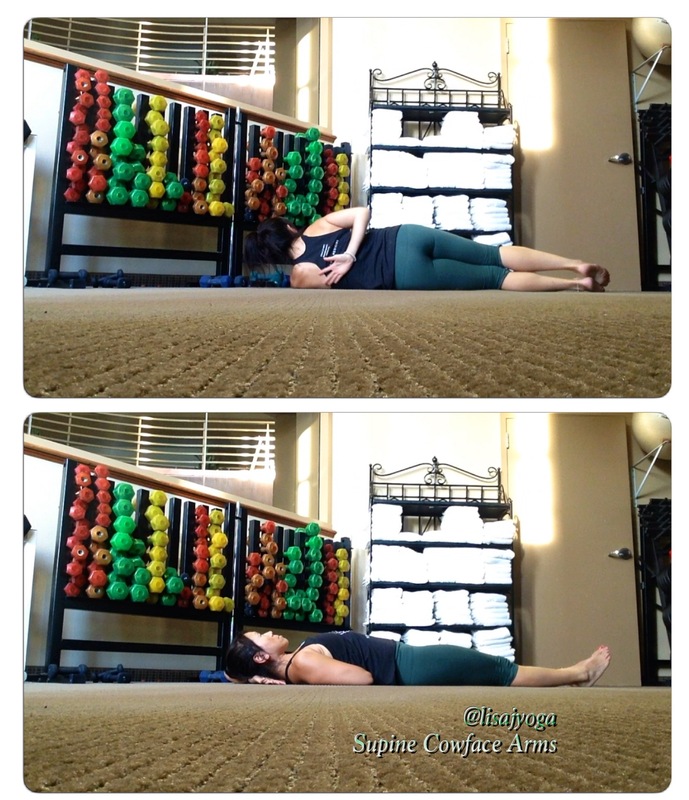 This Yin Yoga sequence is to create harmony in the Lung Meridian line. This sequence includes acupressure. You can also do this sequence without pressing on the points. 1. Start with locating LU1 acupoint. Cross arms and lightly press on the points. Then, lay down or stay seated for opening meditation and pranayama. Breathe into the lungs. 2. Half Cow Face Arm (R arm behind back), lay supine on arm (as shown below). However, take the left hand and continue to press lightly into LU1. Hold for 1-3 minutes. 3. Bananasana R side. Reach for LU7 or LU10 point and lightly press. Hold for 4 minutes. 5. 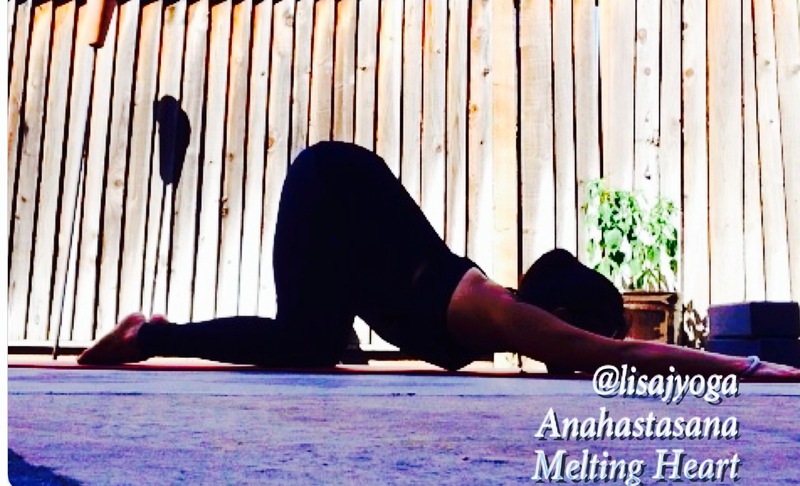 Anahatasana also known as Melting Heart Pose. Option Childs Pose. 6. Broken Wing (Open Wing) Pose. Both sides 3 minutes. 7. Half Shoelace or Full Shoelace Pose. Arms behind back, holding opposite elbows into cubit crease at LU5. Option to just press LU5 with arms in front (if you cannot reach for the cubit crease). Both sides 3 minutes. 8. Chest Opener with Blocks. Hold for 5 minutes. The Lung Meridian is known to control breath and energy. It assists the heart with circulation of blood. Any emotions of sadness, grief, irritation or even resentment may come up during the asanas. It is normal. Always use your breathing to help you ease in. If you would like to share any experiences of how you felt after the sequence, share your comments in my comment box. ← July 18: 2-Hour Yin Yoga & Essential Oils Workshop!